Parkit on We Bought an RV! Gina on We Bought an RV! Agness of eTramping on Florida it is! 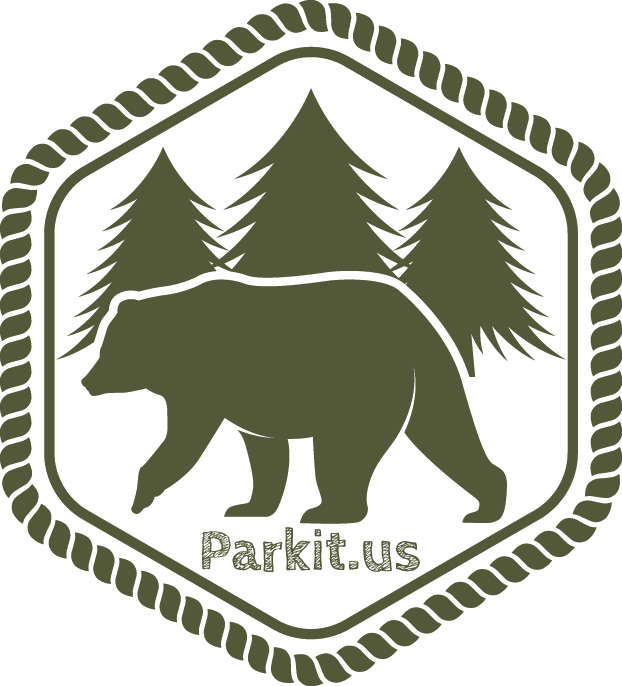 Parkitecture is an architectural style that developed in the early and middle 20th century in the National Park Service. The NPS wanted to create buildings that worked in harmony with the natural environment and historic surroundings. There are a lot of elements in common with the Arts and Crafts movement- for example architects used a lot of native wood and stone. The Parkitecture style can be found in many National Park structures like entrances, lodges, and visitor centers. Many of these buildings are listed on the National Register of Historic Places. I really love the buildings in our National Parks designed by architects like Mary Colter and Robert Reamer. The Desert View Watchtower in the Grand Canyon National Park and the Old Faithful Inn at Yellowstone are amazing. It is part of the National Park experience to stay at one of the amazing lodges like the Ahwahnee, the Bryce Canyon Lodge or the Wawona Hotel. I will never forget my first stay at the Old Faithful Inn and our visit to the Crow’s Nest! I am excited to get a picture whenever I see the entrance signs to the parks, and the Roosevelt Arch at the North Entrance of Yellowstone is beautiful. Have fun exploring when you visit our parks and take plenty of pictures of the great PARKitecture.